Although I've been back from the Japan meeting since June--I haven't been able to get any new work started until now. I returned energized and really ready to take off and start some new work but the clinic, job, trying to clean up/close up my studio and house; pack a years worth of art supplies, etc. were too time consuming to do any art and once abroad, getting the rooms and suitcases unpacked and orderly is still a unending task. What's worse is that due to airline luggage restrictions and weight limits, I had to jettison (but at home at least) all my pigments and Akua colors for fear they might leak or be confiscated. So today I made a trip to the Art Supply Shop RIGACCI in the center of town to pick up some dry pigments. Prussian Blue, Ultramarine blue; Cadmium Yellow Light (they had only yellow ochre, an opaque looking Naples yellow and the Cadmiums); Carmine and Cadmium Red Light, Pthalo Green; Ivory black. They are already VERY finely ground and were only 3-5 Euro ($5.00) for each 100g jar. They also had some beautiful antique pigments--real Lapis lazuli, turquoise, cinnabar, etc but they were all 30-40$/jar and were too pricey for my budget. I'm working on a small print 2.5" X 3.5" for the 50th Baren-forum exchange. It's small work, even for me and I'm still trying to figure out how much detail I want to consider. 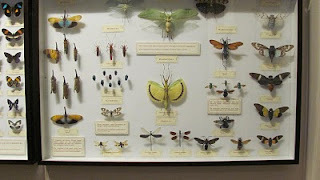 I have had a couple of competing ideas and as soon as I was able I went to the Museo La Specola, the oldest Natural History museum in the world to look at some bugs. 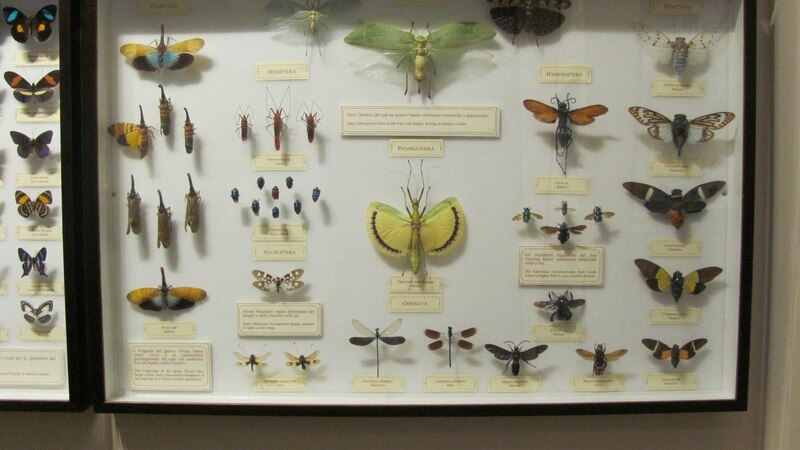 The one I wanted wasn't there but they have an amazing collection of wax anatomy models and cadavers and there was lots of other stuff to look at. So tomorrow I'll mix up some pigent dispersions. 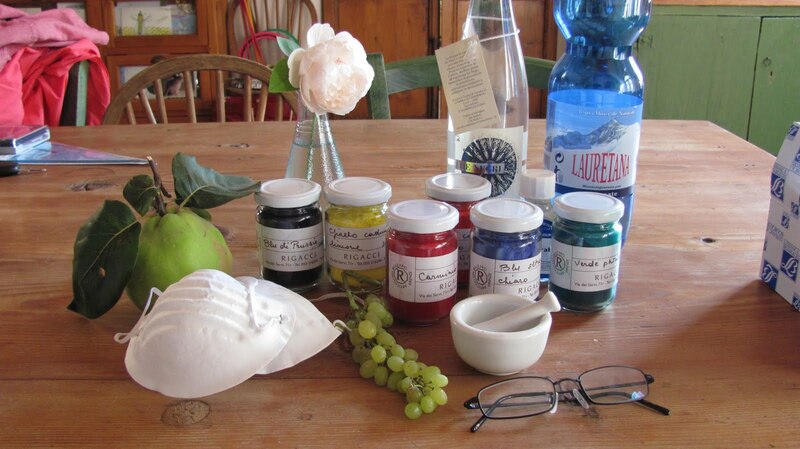 I have a particulate maske to protect me from the Cadmium in the red and yellow; The grappa isn't for drinking; a small amount of alcohol will help dissolve some of the colors in water. I hope to make a dense paste/liquid suspension and use these for my color mixes. The Quince isn't yet ripe; the grapes were a welcome surprise as they were ripe, sweet, and the birds hadn't found them.